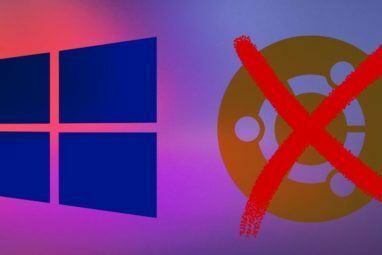 Unlike Windows, installing software in Linux has the potential to be slightly more complicated. Unless your chosen software is already in package form or resides in a repository Your Guide to Ubuntu Repositories and Package Management Your Guide to Ubuntu Repositories and Package Management Read More and can be installed with a simple line of text, the chances are you’re going to need to compile and install from a .TAR.GZ or .TAR.BZ2 file. A .TAR.GZ/BZ2 file is a compressed tarball (the uncompressed extension being .TAR) which contains the raw source code for your chosen application. 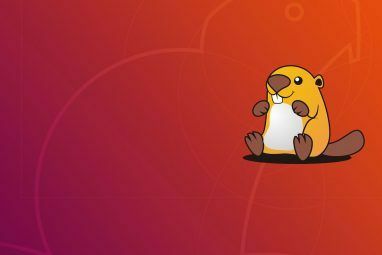 Installation requires these files to be compiled, processed and linked in a way that Ubuntu can then execute the program. The tarball format was standardised in 1988 (and again in 2001) and continues to be widely used on both Linux and Windows for the distribution of software. Originally tarballs were designed to facilitate the backup of data The Best Free Backup Software for Your PC The Best Free Backup Software for Your PC Read More onto tape devices, not that you’ll be doing that. If you’ve not used the Linux command line before there’s no need to worry, the commands are straight-forward and cohesive. Once you’ve done this, you’ll never need to do it again as your system will be prepared for any tarballs you throw at it. ). 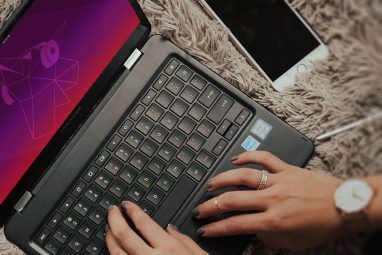 You can do this with your normal file browser Nautilus Elementary Simplifies File Browsing on Linux Nautilus Elementary Simplifies File Browsing on Linux Read More , and once done, open up a new Terminal. If all went well you’ll see a long list of extracted files, like in the screenshot above. Don’t close the Terminal yet, we’re not done. It is at this point I urge you to navigate to the folder your archive just created (with your usual file browser) and open either README or INSTALL should the files exist. If your particular software requires a different method to the one I’m about to go into then this file will hold the key. You can save yourself a lot of hassle by doing this. You may also be able to choose different install options depending on the software, and the INSTALL or README will stipulate what these are. The files may have no extension, but are plain text and should open in Gedit or any text editor you choose. 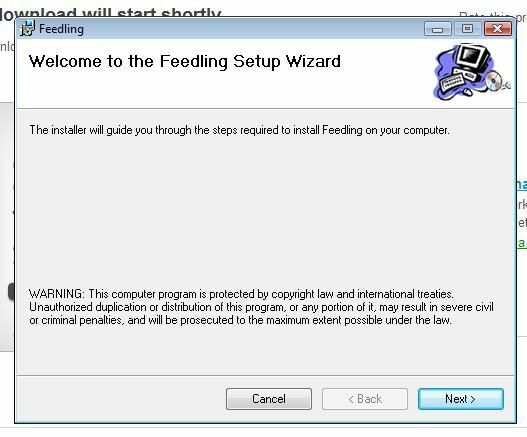 As a general rule, the following commands will install your software with the default installation method. Note: If your software does not have a configure file, you might want to try skipping straight to the Build & Install section of this article, though consult your INSTALL or README documentation first. This command will verify whether you have all the installed packages required to use your software. You can use apt-file which you installed earlier to fill in the blanks. This won’t necessarily always happen, but it is very useful if you don’t have the required dependencies. – congratulations, you’re very nearly there! Lots of people give up before they get to this point, but you’re better than that. Sit back, grab a coffee and breathe for a second. Depending on the size of your install this can take a while. If everything went well you’ll see Installation Successful. Pat yourself on the back. You’ve done well. and you’ll be able to run it from there without any problems. Did you make it all the way through? Isn’t it easier just waiting for a package or getting it from the repositories? Maybe you found it… easy? Let us know in the comments. Explore more about: File Compression, Ubuntu. I get to ./configure and that's it. It just says "No such file or directory"
"No targets specified and no makefile found"
And these problems aren't addressed here. One thing I would whole-heartedly agree with is to read the INSTALL and README files. Even though 95% of the time there is only about 5-6 things that need to be learned bt rote about building packages, any deviations from the norm will almost always be listed in these two files. "bash: ./configure: No such file or directory"
"make: *** No targets specified and no makefile found. Stop." Can you offer some advice please? I got exactly the same problem!! Did you ever get it sorted? I got the same problem. Does anyone have any idea what to do when this happens? There is an executable that I can run when I unpack the tar, but the software is unstable and crashes continually. When you do the ./configure part, you have to be in the first level of whatever you're installing. For example, if I'm installing a tarball called thingy.gz, it will unpack to a folder called 'thingy'. You then have to 'cd thingy' to get to the top layer. ./configure should work from there. The earlier Pycharm 5.4.2 is running fine in this computer but this new 4.5.3 has no .configue or install or readme.txt file. I extracted the file but it had no .configure file or install file or any readme files. and extracted the file there. I am wondering how to install this program. Once the program is opened with a project, go to Tools -> Create Desktop Entry to make a shortcut that can be searched. Thank you for the spoon feeding. Its a great tutorial for a Linux learner like me. Do you have any idea on this issue? When I go to most of the https websites getting this error, "The page cannot be displayed (500-100) There has been a system error and this page is not currently available." I get this issue in Firefox, Ubuntu web browser and Chrome. I'm on Ubuntu 12.04. But the same site is working in IE or any browser on Windows 7 computer. Any work around please. I got everything to work, it created a new file in my bin (i'm trying to install a solitair game, babysteps, right?) but i dont really know what to do with the file..
i had no idea how complicated linux is, i really opened up a can of worms lol... but if i found more guides like this, i shouldn't have any problems..
Hi, guys. Please help. I'm getting an error when I enter the "make". Three files couldn't be found. System.Data, Mono.Data.Sqlite and System.Web. I've tried to apt-file search each of those files and installed a package containing those files but the same three error fail keeps coming back. I was trying to compile an installer for opencachemanager-1.0.15 on my Linux Mint 14. I had downloaded a tarball and was attempting a compile from the folder of the same name that I extracted. Thanks anyway. Figured it out. This was painfully overwhelming for my grandmother. Why does this process have to be so complicated? Is this something Linux is lacking in or just the way it's intentionally set up? can you tell me what theme and icons are these? I'm really sorry, I'm not sure. Maybe someone else can help you out, or try MUO Answers: Link.